Leatherhead Food Research’s microscopy service guarantees expert analysis and interpretation by highly skilled scientists. Key areas include troubleshooting product failure, microstructure/texture/stability understanding in NPD and foreign body identification. Leatherhead’s highly experienced food scientists provide expert microscopy solutions. We can provide key information in the areas of new product development, troubleshooting and analysis of customer complaints. 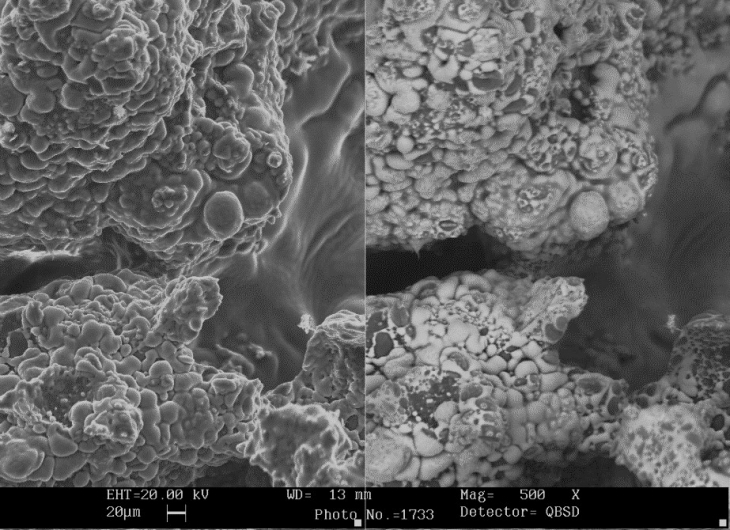 In your product development we can show you the microstructure of your product and relate it to the properties of the product such as texture and stability. Benchmarking against a competitor’s product can give you valuable information, or if you are changing an ingredient or looking at new processing, understanding the microstructure will enable you to make the right decisions. At Leatherhead we bring an applied approach to the high quality of the science we provide, making the results relevant to the factory or pilot plant. Microscopy, together with other services at Leatherhead, provides key information to solve product failure issues. 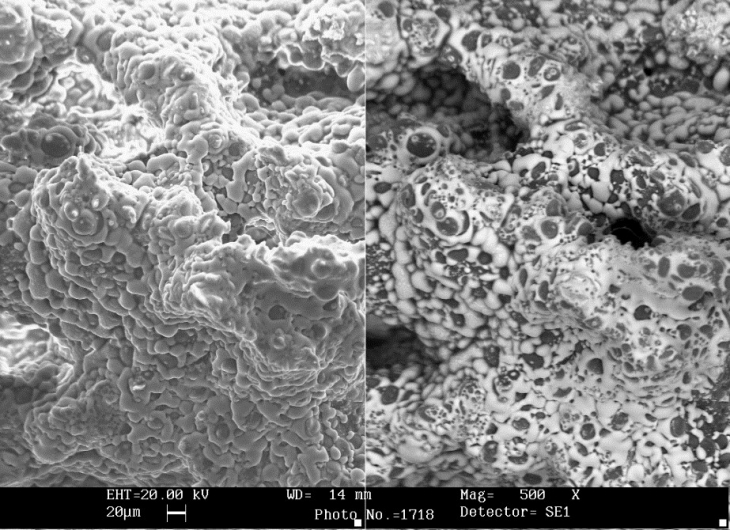 Even the best screening systems can fail and in the area of customer complaints, microscopy can analyse foreign material quickly giving an indication as to where it might have entered the product. As well as providing due diligence, this allows you to know whether the problem is in the manufacture or has happened after this. Stale biscuit viewed by scanning electron microscopy. The crumb structure has changed (left image) and the fat has coalesced into larger regions. This will affect the oxidation of the fat and resulting flavour of the biscuit.